How long was it from when you began knitting until you started experimenting with less “traditional” patterns? I always had the idea to learn from knitting patterns to see how they worked, rather than just following directions. I knew from the beginning that I wanted to make my own ideas, but had to gain the technical expertise with practice. Do you design your patterns by hand-drawing them first or do you just start knitting? The extra step of drawing out the pattern for me is unnecessary, I can knit something from the idea inside my head, and have it come out how I want it to look. It took a long time to get to this skill level — although I always have been too impatient to bother with too much planning. Do you ever knit a regular hat or sweater for a friend, or a friend’s baby? Or has knitting become solely an artistic endeavour for you? Yes, it is solely an artistic endeavour, it just happens to be the medium I work in. Only under very special circumstance will I make a sweater or hat for a friend, and they have to realize how special an event it is! How long does your average piece take from inception to final product? On average a month. I try to keep it under a month for my sanity. Do you ever teach workshops or classes? I love teaching workshops! I’m available for hire! 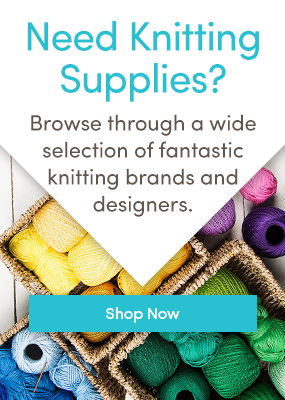 What are your favourite brands or style of yarn or wool to work with? I’m fond of what is generally classified as machine knitting yarn, as it tends to be lace thin and you can use multiple strands to get the required weight. Also it comes in bulk on cones which is very helpful due to the amount of yarn I use. Besides that of course it’s impossible not to like the super soft beautiful wool yarns. How can a fan purchase one of your creations? If anybody is interested in me and my work, I can be contacted via my website, or Facebook page. At this time I mostly knit by commission. Take a look at more of her amazing art pieces on her website or on her Facebook page and let us know in the comments what you think of the Tracy Widdess brutal knits! WOW, amazing and great imagination!